It seems beautiful to see the smoke in the open air or blue sky. But Smoke in living place or inside of your home is always injurious to our health. None could allow it anymore, are you? If it hampers your single breath, then the suffering is boundless. You can’t avoid it without letting out an appropriate solution that rid smoking perfectly in your living area and environment. Like that, I can’t allow smoke in my living space as it interrupts in the usual breath and makes like crying. A couple of years ago I faced this problem on a regular basis, but now I overcome that without any hassle. In this writing, I’ll explain that manner or method that works efficiently on me. Here you’ll get some fantastic smoking fireplace solutions that you resolve after find out the exact troubleshoot. So, read on to reveal the most straightforward way and find out the standard errors for what your fireplace produce so much smoke. It’s always tough to fix the common problems but the end of this reading you should get them, along with efficient solving method. 1. Is The Chimney Too Small? Beyond the fireplace smoking, this matter is ordinary, and most of the victim marked it as their primary cause. In designing of a fireplace, there have very few rules and regulations what you have to follow correctly. Otherwise, the suffering knew no bound. The size and length of your fireplace chimney are one of them. If the vent is too high or spacious, then it allows to get out more smoke within a quick while and keeps the inner atmosphere of your fireplace neat and clean. But when it’s too narrow or short then it takes time to remise the smoke quickly, and the smoke spread soon here and there even in your living area. Short chimneys restrict the way to get out the smoke when it works take too long instead of a proper size or extends one. To get rid of this suffering you need to replace the chimney as soon as possible. If the design of your fireplace is excellent then just replace the chimney with the long one, and you’ll get the solution quickly. Otherwise, you can attach a fan to the top edge of the chimney if it’s not narrow. An electric fan also works well to spread out the smoking soon. In the time of using the fireplace, it produces enough smoke. When this vapor passes away through the vent, it mixes up with some other by-product like creosote and creates a layer of dirt in the smoke passageway or inner of the chimney. If the chimney is dirty, and it’s pass way get narrow then the service o your fireplace get down. Sometimes its too weak that you get little heat but much smoke with the dirt. The vapor of the smoke creates the layer on a regular basis. So you have checked the chimney twice in a month. If you see there have a thick sheet, then you need to sweep it or take service from any professional agency to keep clean the chimney. If the route of the fireplace is wide spacious, then it gets out fast and reduces the smoke significantly. SO take care of your fireplace chimney much for having better service. 3. Does The Damper Works? Hardly we check the damper of the fireplace before seeking the over a smoking solution of the fireplace. Even I forget this matter and notice after having the smoking problem. I see the home is full of smoke and change the fuel but forget about the damper. Damper or chimney cap need to keep open always otherwise the smoke can’t get out as a result home gets vaporous. So when seeing there over smoke then check your damper first. If its close, then opens it soon to spread away from the smoke outside. 4. Is The Fireplace Adequately Ventilated? When the fireplace is airtight, it produces more smoke and smoke can’t exhaust soon. In a sealed house there have enough oxygen and vapor adjust with It to make the environment worse. But if the fireplace and home both are appropriately ventilated then you hardly have seen any visible smoke at home. keeps the door and window open and the fireplace ventilated adequately to keeps the fireplace smoke-free. If the chimney and design of your fireplace were perfect, then ventilation would be most needed. 5. Does The Fireplace Properly Construct? Can you think of a house without establishing basement? Like that how you feel about a hassle-free fireplace without accurate construction? If you build this fireplace following the adequate rules and regulation, then these simple errors could be solved soon. Just check the whole system and figure out the troubleshoot and resolve it with the help of expert one can give you an excellent solution. But at first, need to check the construction system, is it right or wrong? Sometimes we build the fireplace within a shortcut manner to save few bucks instead of thinking about the future suffering. Correctly make is must for getting excellent service. So, from the beginning, you need to care about this simple terms and follow the rules of experts to ensure the desired function. Study more, listen to some real experience from neighbors and try to solve those issues in the very beginning. Two flues in one fireplace system created to get rid of the smoking problem. But when both of them are in same height, structure and same manner than in the time of using a single side produce much smoke and other flues take the smoke inside. Here wind plays the critical role and spreads smoke in the fireplace and surrounding area. It’s a common problem that most of the people avoid in the beginning and suffer much. Just keeps some difference in height, broad and structure in both fuel pipe. Keep one little flue higher edge than other and use following the winding route when using the fireplace.Keep your eyes open since the beginning and keep concentrate in those simple and effective errors for having the exact solution. Some of the woods create more smoke than others. This type fuel provides less heat but fries the forest fast, that’s why you need to be conservative in using fuel and keep the atmosphere fresh. Anyway, preferable those wood or fuel which provides much heat in using comparatively less fuel. If you’re illiterate and new one in this section then study more. 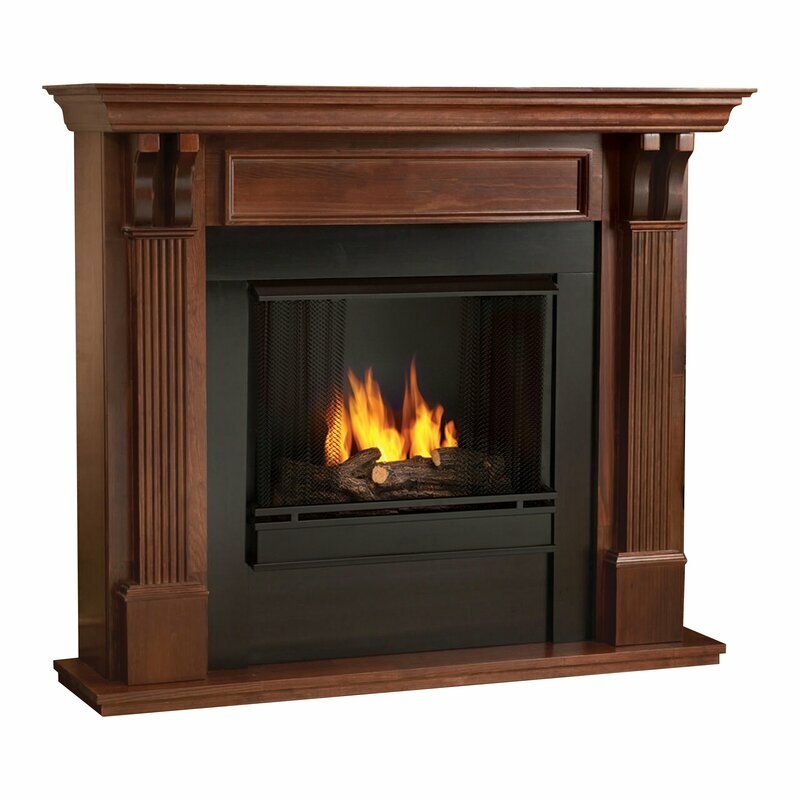 In selecting the fuel for the fireplace to maintain the standard criteria, pick the fuel, and enjoy the service. Checking the fuel type is energy, time and money efficient. Usually, in cold weather, the air becomes dense and heavy, and allow to produce less fire. The airtight environment of the fireplace also hampers the regular fire procuring system. So In winter follow the original method in starting the fire. Here you need to gather much wood in a stake and then open the damper to use your fireplace. prime method is the most effective solution as for how about your fuel. So try to follow this process and have enough ventilation system in the fireplace. When you fix these problems and solve them at the beginning that will accomplish your experience in a significant manner. In our experience, we get them burning issue if your experience says anything else then comments below to know the excellent smoking fireplace solutions from experts.